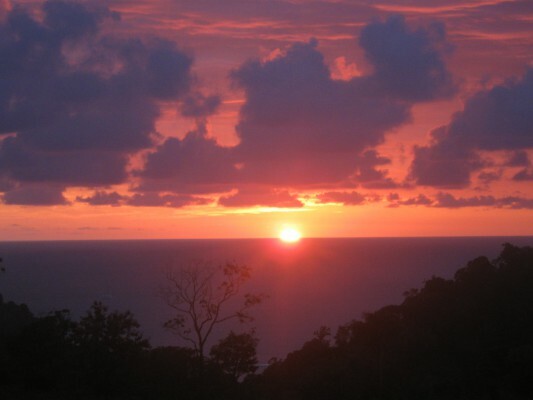 It’s no secret why people visit Costa Rica; stunning beaches on the Pacific and Caribbean coasts, active volcanoes, diverse wildlife, waterfalls and unique cloud forest. Its popularity means that travelling here is never going to be as cheap as its northern neighbors in Central America. But with a few key ways to stretch your dollars, it’s possible to visit many amazing places the country has to offer without maxing out your credit card. The fastest, easiest and also most expensive way to get around Costa Rica is by private shuttle. These operate between most major towns, and are easy to book through hostels and tour agencies. However they cost up to 5 times as much as travelling by public bus. From San Jose, direct buses run to almost every town in the country, with the longest trip I have taken about 5 hours. When travelling between other cities and towns, it can get more complicated with multiple changes required. But with some music, snacks and a bit of patience, it’s worth the money you will save. A recent trip from Monteverde to Tamarindo with 2 friends was going to cost $50 per person in a shuttle, and we did it for about $10 per person on public buses. Restaurants in Costa Rica can be expensive, especially in tourist destinations. As a general rule in beach towns, the closer to the water a place is, the more expensive it is. Local restaurants called Sodas are a great alternative for trying typical Costa Rican food and saving money. Casados (a typical meal), include your choice of chicken, beef or fish, with rice, beans, plantains and salad. Most bars in beach destinations offer 2 for 1 specials at different times, usually in the afternoon or evening. For the girls, Ladies Night generally rotates between different venues on different nights of the week, with no cover charge and free drinks. On karaoke night at Sharkys bar in Tamarindo, free shots are the reward for anyone brave enough to sing! A lot of things to do in Costa Rica (aside from laying on the beach) come with a decent price tag attached. In some cases, the same activities are offered in multiple places, so it’s worthwhile to check where the best place to do them is. Canopy tours are available all over the country, with prices at the beach approx. $60 per person. 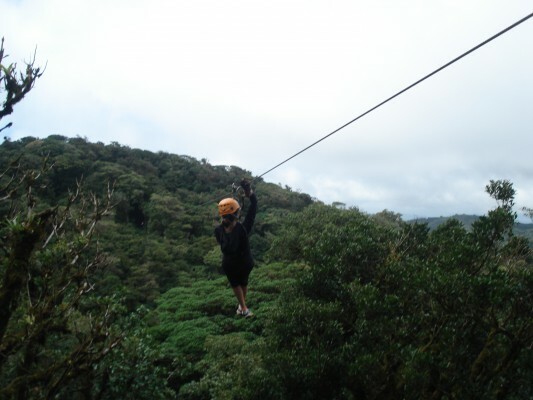 The tours in Monteverde are by far the most spectacular, where you will be soaring above the canopy and only paying $45. Volcan Rincon de la Vieja is a good alternative to Arenal, with more volcanic activity and an abundance of wildlife in the park. Without giving away secrets, it is also always good to ask locals about free things to do, such as the tree climbing in Monteverde and hidden hot springs near La Fortuna. While it’s convenient that most places in Costa Rica will accept US dollars, there are times when it is a lot better to pay with local colones. Hostels, souvenir shops and some restaurants that list prices in dollars will almost always be using the exchange rate of 500 colones to 1 dollar. This isn’t always the case for smaller vendors; bus ticket offices, grocery stores, local restaurants, where you will usually end up paying more if you choose to pay with dollars. Almost all hostels in Costa Rica offer free wifi, hot water and common areas, however some also include free breakfast and communal kitchens. 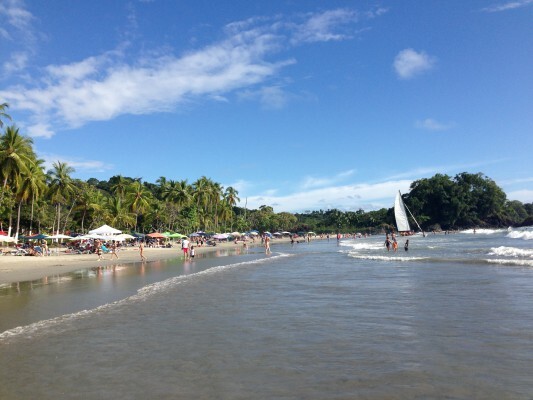 My favourite hostel in the country is Vista Serena in Manuel Antonio, where I stayed for New Year’s Eve. Located on the hill overlooking the ocean, Vista Serena has a large balcony perfect for relaxing and watching the sunset. It also has a restaurant, kitchen, free breakfast and flat screen TV with an impressive movie collection. The owner, Conrad, is extremely helpful. I highly recommend staying there!